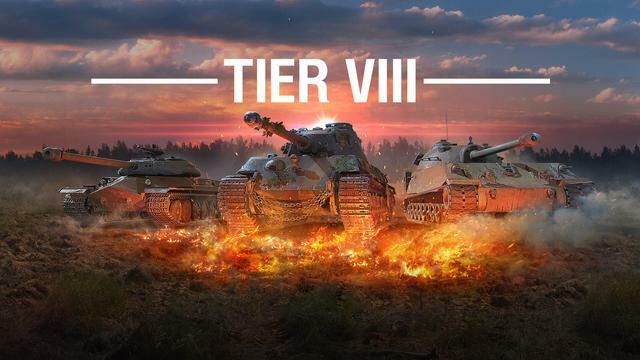 World of Tanks Console - Ranked Battles Tier VIII are now live! Hop in game and battle towards the top of the ranks! Don't forget to share your feedback! Where is the 2x silver Rai I played a game and earned far less silver than I would in standard queue? If there isn't one then whats the point in ranked this time? No x2 silver in this - there's no point in ranked this time besides players can grind stock tanks and crews can gain XP but that's it. Yeah not to mention you earn far more xp doing normal battles because of String theory and the monthly op 2x if you did it. I really don't know why WG would do this and try to release ranked with no silver bonus I'm hoping this was a mistake. Not to mention they halved the rewards for the last league. This would have been much better without string theory running concurrently. I would like to play this, but these xp bonuses are hard to ignore in matchmaking. there's no point in ranked this time besides players can grind stock tanks and crews can gain XP but that's it. So there is not point in ranked battles except that players can grind tanks, earn money just as in random games, train their crews, have fun, test some old tanks in a new environment, win gold, win tanks, win premium time, gain experience in small scale battles but that's it. So there is not point in ranked battles except that players can grind tanks, earn money just as in random games, train their crews, have fun, test some old tanks in a new environment, gain experience in small scale battles but that's it. I’ll be using it to train Soviet and German crews up. Games are quick but you do give up the winter games x2 and string theory from what I understand. You can't do long haul op, no silver bonus. Full of defenders. LOL tier 8 ranked battles is wargamings worst idea yet. The proper listed maps for this season is messed up, Abby and Karelia are still in rotation! Your list states port, mines, & Komarin. I was really looking forward to those! Well pointlessly nurfed. Im done, back to regular matches where I can earn more xp and silver. I just hope they learn from this but I doubt it because ranked battles seem to get worse each time. Yes unfortunately they killed RB this go around with no x2 silver and the greatly lowered rewards...they should have left both of those the way they were before. They say by lowering tiers they make it easier for people to make it to the top so they lowered the rewards but that isn't quite accurate. You are still beating the same players as you were before but just in different tier tanks. That and they disable OPS during RB play so you can't even work on the long haul OP. They also chose to run RB on a weekend where most players already have x2 XP on all wins due to the bravo games and it is a string theory XP weekend. Bad timing all around. No Port, no Mines, no Komarin in over 30 battles !!! No x2 silver, wins not counting towards Long haul operation !!! In addition, more afk ever !!! You can do better than this WG !! Players getting what they been asking for, (different tier) and the complaining continues! Crazy if you guys think wargamings gonna give ya x2 silver while running premium tanks. And choosing to run tt tanks is ones choice.